This elegant bracelet is elegant. 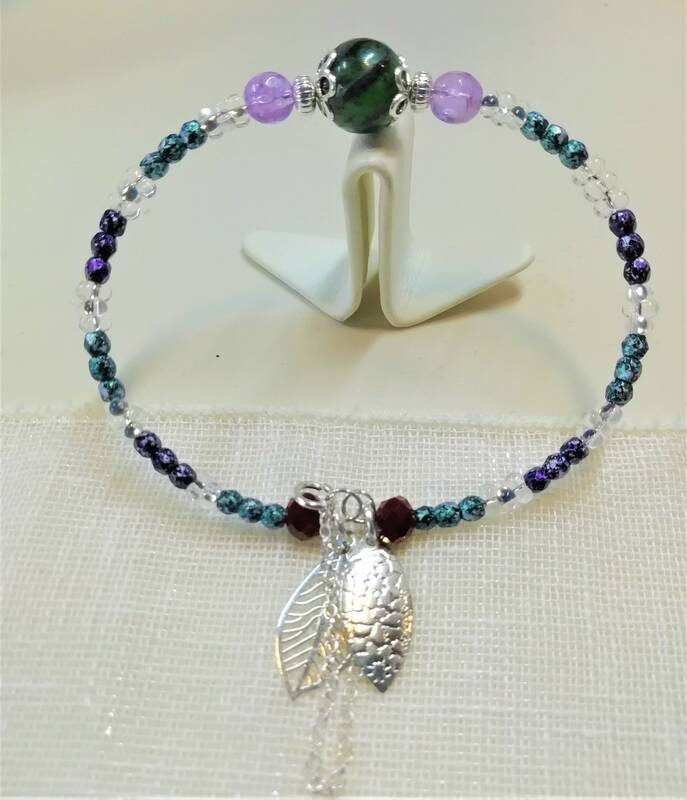 Thin and boho Crystal beads are mounted on a high quality memory wire. It slips easily and its oval shape fits perfectly the shape of the wrist. When you put it on, the bracelet deviates and thanks to its shape memory, it is perfectly to its original shape. Its stiff shape gives a lot of outfit with this beautiful gem. An pretty extension chain accented with hammered silver plated brass and a silver plated filigree leaf gives a lot of chic and elegance. 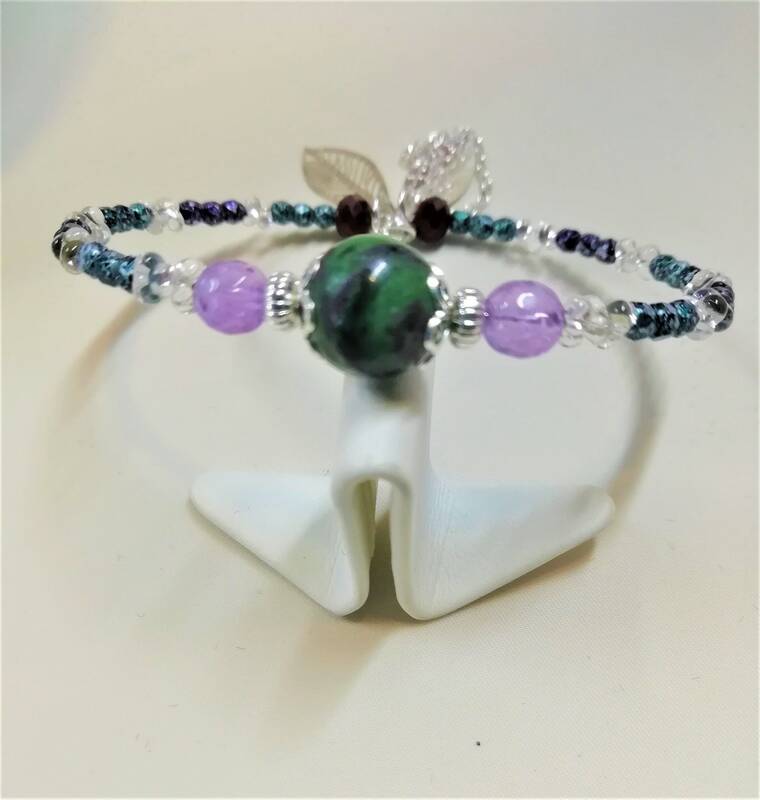 The tiny beads boho purple and green marble are all faceted and they catch the light. 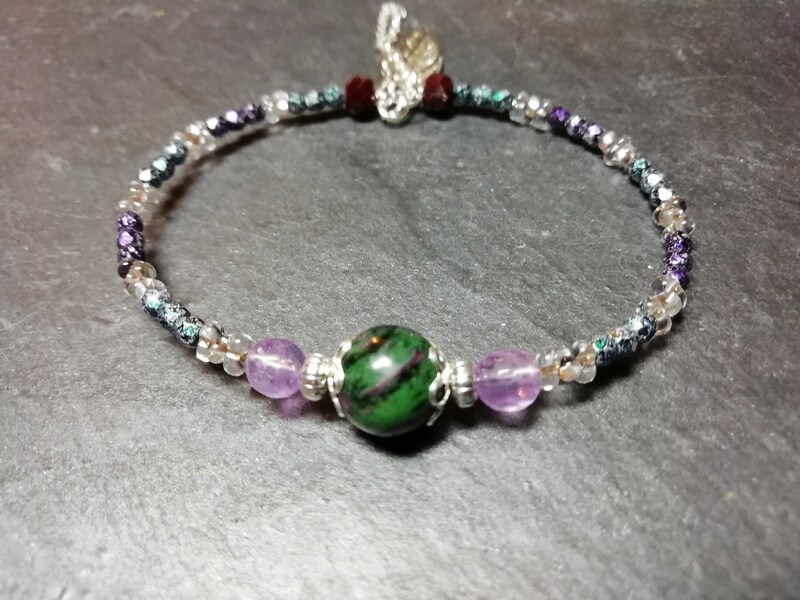 The Central bead is Ruby zoisite highlighted by silver filigree connectors. With this bracelet you will look sophisticated and elegant in all circumstances.